2013 Ranger 619 vs 45th Anniversary addition in excellent condition with full windshield. 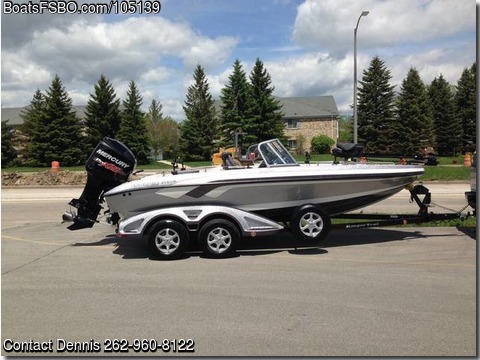 225 Mercury Pro XS with only 62 hours and a 9.9 Mercury kicker 4 stroke with Pro-Trol 2. Min-kota I-Pilot linked to Humming-bird 998 SI on console and a 788 DI on bow. Also has factory matched travel cover. I had custom rod holders and a rear deck made by Mo-Dog. I purchased it new in May 2014 thinking I would start fishing bigger bodies of water but have only done that a couple of times. You can take a look by calling or texting 262-960-8122, I am retired so anytime is good.